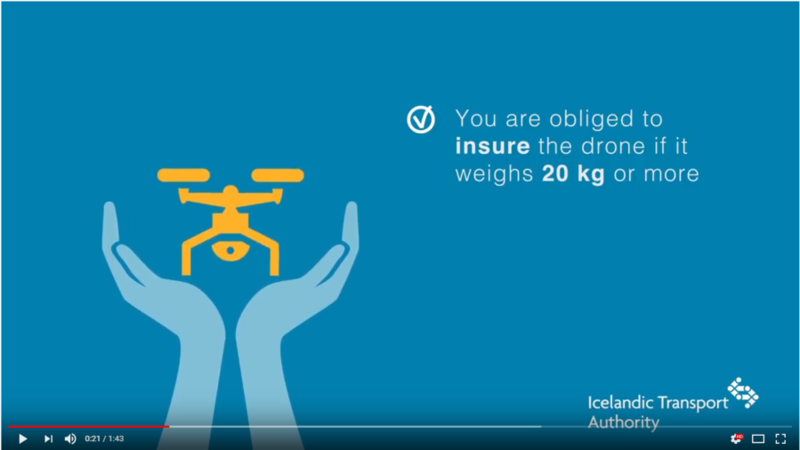 It is prohibited to fly a drone at a height of more than 120 metres without a special permission from the Icelandic Transport Authority. Applications for drone registration and special permissions. The base fee for the issuance of an authorization of exemption of article 12 in Regulation 990/2017 permission to fly a drone is specified in section 14.1. in Icelandic Transport Authority tariff . It is prohibited to fly a drone within a specific distance from the boundary of an aerodrome without permission from the airport operator. However, no special permission is needed where the drones are flown below the height of the highest structures in the immediate vicinity of the flight trajectory of the drone. The existing distance limit for aerodromes with scheduled air services, is 2 km. The existing distance limit from other aerodromes is 1.5 km. 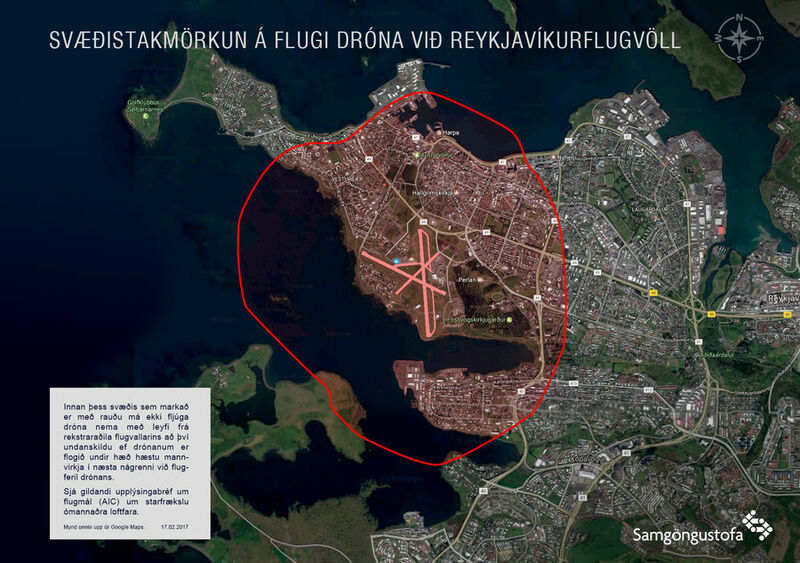 Here is a map showing the boundaries of Reykjavik Airport. List of airports with scheduled air transport. The approval of an aerodrome operator is always needed for all flying within the aerodrome site. Operators of drones are responsible for their use and the damage they may cause.